Deer are now more common in rural and suburban areas to the point where homeowners fence vegetable gardens and roses to prevent damage to plants. Local nurseries can provide advice on landscape plants that are not attractive to deer. They also sell products make plants distasteful to deer. 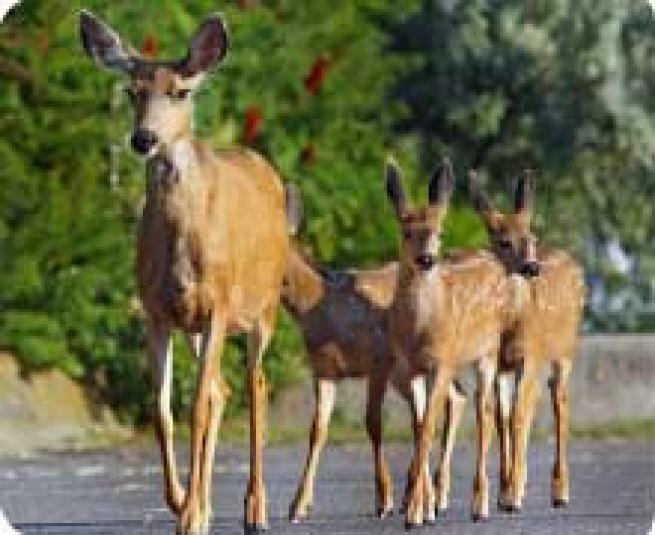 Click here for a BC Ministry of Environment Report on managing urban ungulates.